Tech-savvy, independent and hungry for success, it won’t be long before Generation Z signs onto the workforce and represents the majority of consumers – smart business leaders should prepare now. As someone who has worked closely with this hard-working, ambitious generation, I have gained several insights behind Gen Z’s drive. My advice to today’s business leaders and executives: take a proactive, strategic approach in how you view and engage with Gen Z based on their specific set of values, behaviors and expectations. Born between 1995-2010, the post-millennial generation is significantly different from earlier populations. While close in age, Gen Z is growing up with a front-row seat to many of their Millennial predecessors’ misfortunes, often watching family and friends move back home after college, owing significant amounts in college loans, and even worse, with very few job prospects. Because they are learning from observing these obstacles, they are typically more resilient, pragmatic and well-informed. One of the largest population segments since the Baby Boomer generation, Gen Zers have a reputation of being more conservative with their money than Millennials. They are very focused on obtaining secure, stable jobs, and they often prefer to grow their savings versus spend money they don’t have in the bank. Additionally, Gen Z represents a cohort of independent learners – they use the internet for practically everything and commonly learn what they want to know from online tutorials. They have very short attention spans, which marketers must consider when trying to reach them with a specific message. Also, Gen Zers typically have entrepreneurial ambitions. Recent studies reveal that approximately 70 percent of Gen Z teenagers dream about owning their own business or following through with a business idea or passion. How Can Employers and Businesses Get Ready for Gen Z? A highly-informed group of efficient thinkers, Gen Zers also have high expectations when it comes to shopping and joining the workforce. To remain competitive, organizations and retailers hoping to connect and engage with this savvy generation need to understand who they are, what they want and how they want it, and align their business strategies accordingly. Most importantly, companies need to realize that to successfully communicate with Gen Zers, they must do it in bite-size, digestible pieces. Meet them where they are. Communicate with Gen Z across multiple platforms, reaching them on whatever device they happen upon your company and at whatever time. Use videos and music, as well as other digital strategies, to leverage social media and other technologies to retell your story in new and exciting ways. Be transparent. One critical aspect to understand about Gen Z: they believe honesty is vital in both brands and leadership. If you exhibit vision and integrity, you will more likely draw them to your company. Remember: they are searching for honest, relatable depictions of real life, and if they can’t find that, another business is just a click away. Give them a cause they care about. Gen Z has a desire to solve the problems in our world. Find personal and unique ways to tie social causes into your products, services and workplace. Encourage feedback and constructive criticism. Gen Z is focused on driving results and solving problems. Give them the space to contribute and communicate and help them understand their contributions truly matter. The differences between Gen Zers and Millennials are considerable – they could even ruffle feathers for brands and companies that aren’t prepared for the challenges ahead. Forward-thinking business leaders understand they must gear up for Gen Z by learning about their likes and dislikes and preparing for their distinctive traits, and shopping and workplace preferences. Knowing what drives Gen Z – and taking steps to address those factors – can ensure your company remains either a brand or employer of choice down the road. 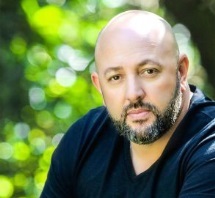 Brazilian immigrant Marcos Jacober is an investor, author, international speaker, and teacher. He is the CEO of Life Hacks Wealth and the founder of Airbtheboss. Jacober moved to the US in 1998 with only a dream and $100 in his pocket. Against the odds, he achieved the American dream using the gig economy to fuel his success. Father of two beautiful children, Jacober has helped thousands of individuals from different countries start their careers here in the US. His new book Eat This Mr. President was released in 2018. The post Gearing Up For Generation Z appeared first on SiteProNews.